March is Women's History Month! Famous Cape Cod women include Barnstable-born, Mercy Otis Warren, a highly influential writer and Patriot activist for the American Revolution. 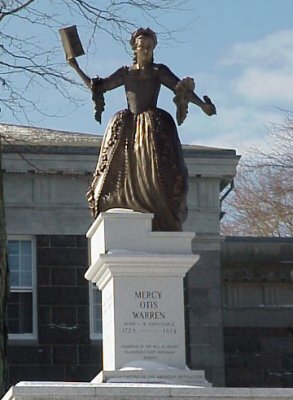 She is honored with a statue on the lawn of the Barnstable County Superior Courthouse; her portrait is currently on display in the Art of Americas Collection at the MFA.